This year on Wednesdays I'm doing something a little different. All last year I kept stumbling on quotes I'd love. Nine times out of ten they were by CS Lewis. So I decided that this year I'd start sharing some of them. 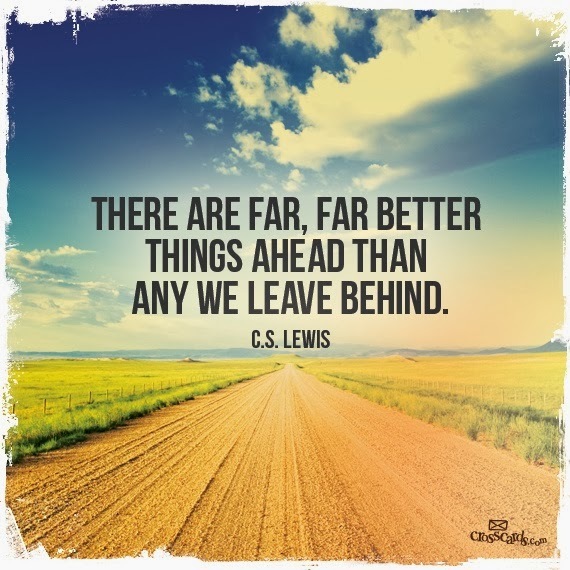 So welcome to 2014 and welcome to Quotable Wednesdays! I've missed you Susan. I hope you had a great break. What a great idea to share quotes, and I agree C.S. Lewis is amazing. It was wonderful! And you? It's good to be back though:) And great to see your smiling face! Such a cool idea. Love C.S. Lewis! Looking forward to more! I've always loved him! Though as a kid I only thought he wrote about Narnia. Imagine my surprise when someone handed me Screwtape Letters! Thanks, Michelle! It's a great one for new beginnings, huh? I need that reminder to keep looking forward! Lol! And I'm in love with your new Wednesdays. Making me do in deep!! C.S. Lewis is one of my favorites! He always has great words to quote. You had me with the words "quotes" and "C.S. Lewis."